A German prince has died in the U.K. after being thrown from his horse in a riding accident. Prince Georg-Constantin of Saxe-Weimar-Eisenach, 41, was riding with his friend Jean Christophe Iseux, Baron von Pfetten, on Saturday when the tragedy struck in the ground of the baron’s home Apethorpe Palace, Northamptonshire. Emergency services were called to the scene around 8:30 p.m. on Saturday, to a man suffering life-threatening injuries. He was later pronounced dead. 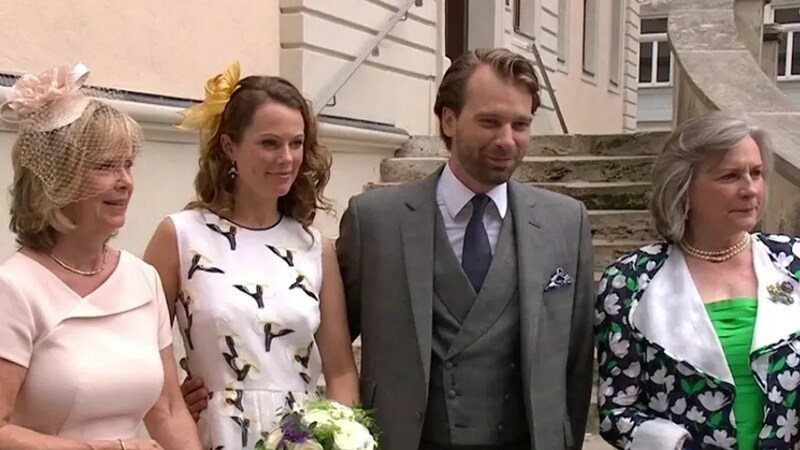 The prince was the designated successor of the German aristocratic House of Saxe Weimar Eisenach, which is the oldest branch of the House of Wettin, according to Deutsche Welle, a German media company. Prince Michael, 71, the current head of the line, said he was “deeply shocked” by his nephew’s sudden death. Prince George-Constantin moved to Britain in 2015 after marrying English woman Olivia Rachelle Page, 38, in 2015. They met at Last Night of the Proms in London’s Hyde Park four years ago. She was a director at her husband’s firm, renewable energy company Sustainability Factory Ltd, until April and now works as an office manager. “We were good friends. His wife and my ex-fiancee were best friends and neighbors in London,” he told MailOnline. “He was a genuinely lovely guy. Despite being a prince he rarely spoke about it. “That such a fine horseman should go out that way. “My Thoughts and prayers are with you and your family. A spokesman for Northamptonshire Police said: “Police were called to reports of a sudden death in East Northamptonshire at about 9:25 p.m. on Saturday, June 9.